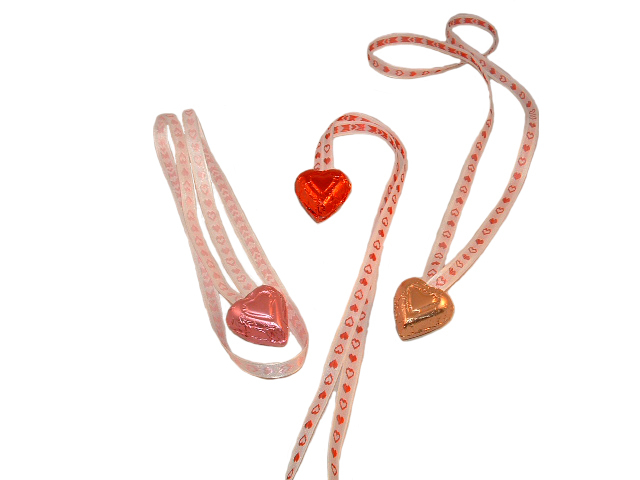 Heart Necklace - .75 oz. Two chocolate Foil Hearts on a heart ribbon make a sweet necklace for little ones. Your choice of color and type of chocolate; Pink - Milk Chocolate, Red - Milk Chocolate, Gold - Dark Chocolate.